Experience the classic sights along the ring road along with lesser-known gems of the remote and wondrous Westfjords. 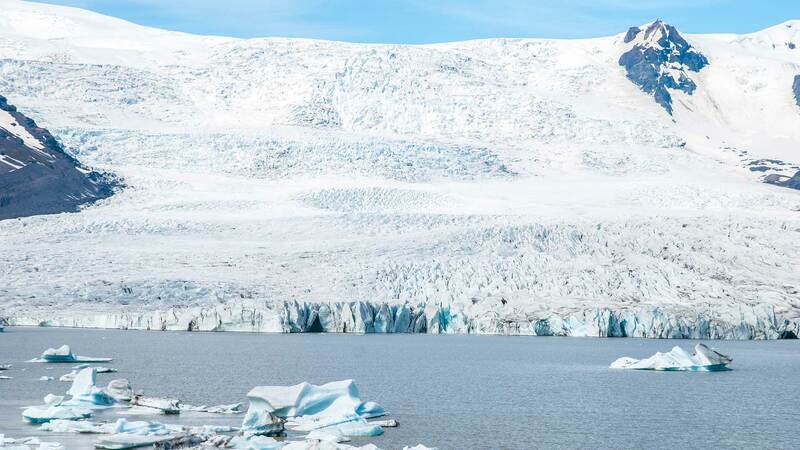 One of our 10 day Iceland itineraries, this fast-paced self-drive package features the complete Ring Road tour, which includes famous attractions like the Golden Circle, glaciers, volcanoes, and the scenic south coast, along with a visit to the vast region of the Westfjords. 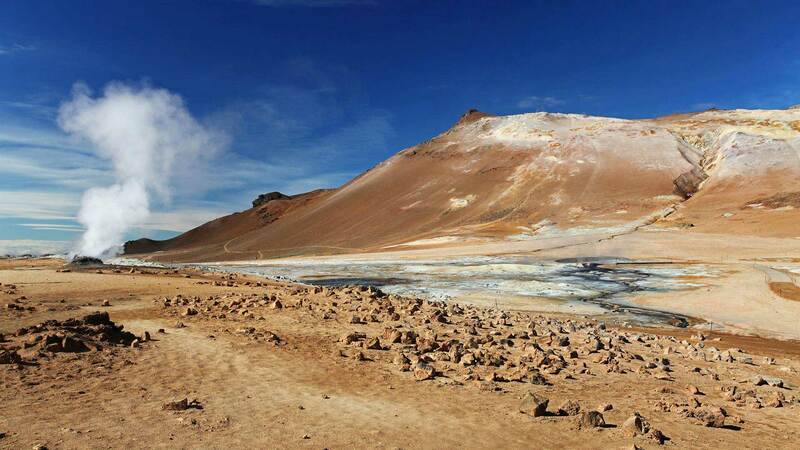 This is an ideal tour for travellers who want to see a lot of Iceland, but have a limited amount of time. 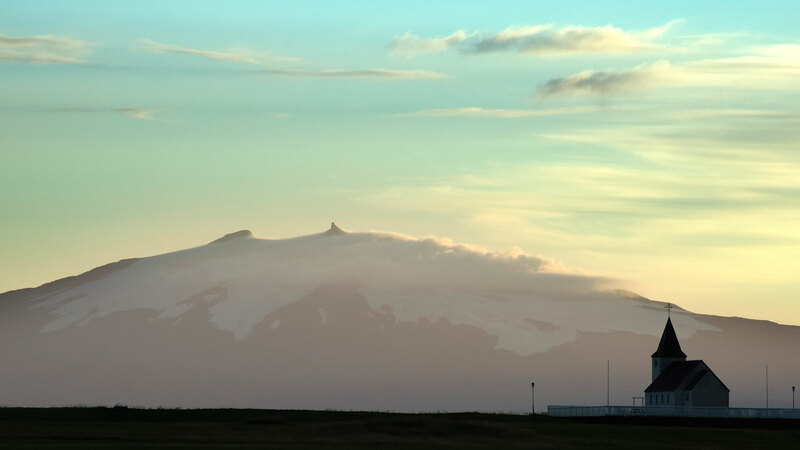 On arrival to Keflavik International Airport, you will be greeted by a driver who will transport you to your accommodation in Reykjavík. After settling in, the rest of the day is free for you to explore the vibrant city centre with its abundance of museums, restaurants and bars to suit all tastes. If you're interested in checking out Icelandic design or experiencing the city's thriving coffee culture, head to the main street, Laugavegur, and enjoy its various shops and cosy cafes. 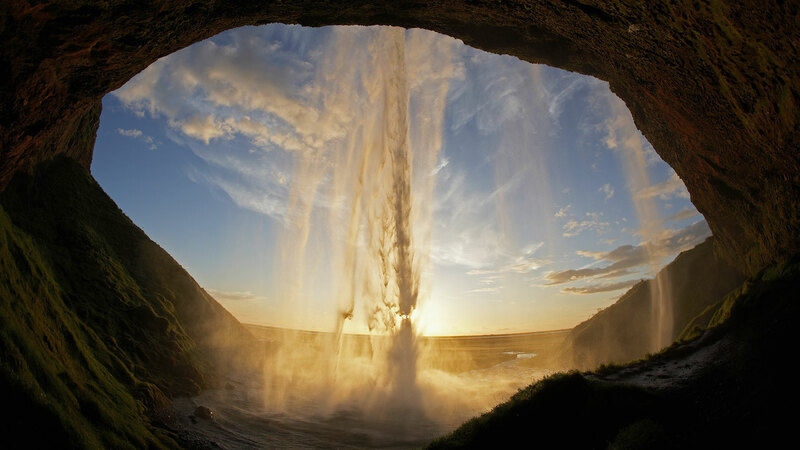 Collect your rental car in the morning and begin your journey on the classic Golden Circle route, home to some of south Iceland’s most popular attractions, including Þingvellir National Park, the hot springs of the Haukadalur geothermal area, the majestic Gullfoss waterfall and the impressive implosion crater of Kerið. 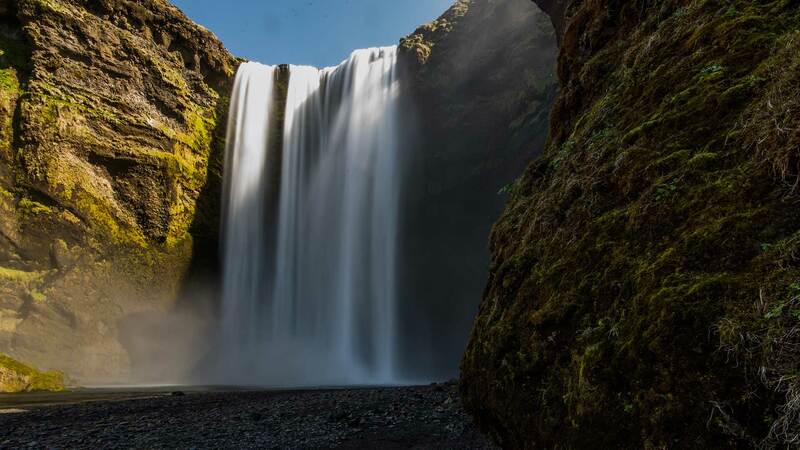 Continue your drive along the scenic south coast and visit the cascading Seljalandsfoss waterfall—where you can walk behind the waterfall—and stop by the mighty Skógafoss waterfall. 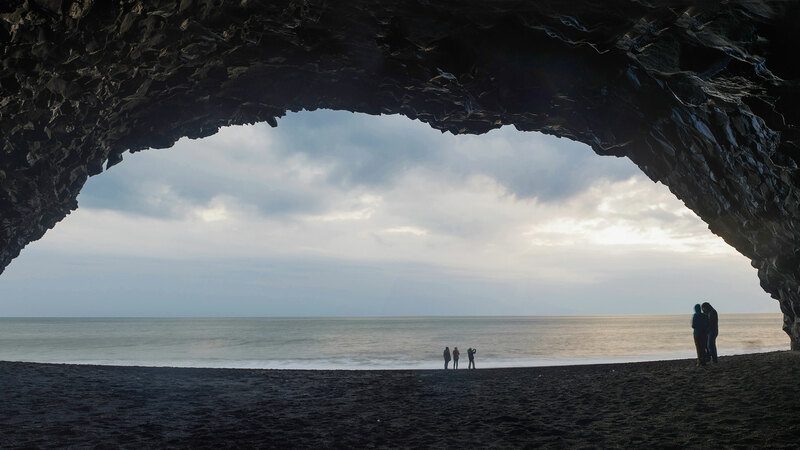 Visit the black sand beach near Vík and the jagged rock formations of Dyrhólaey and Reynisdrangar before heading to Skaftafell, part of the immense Vatnajökull National Park. 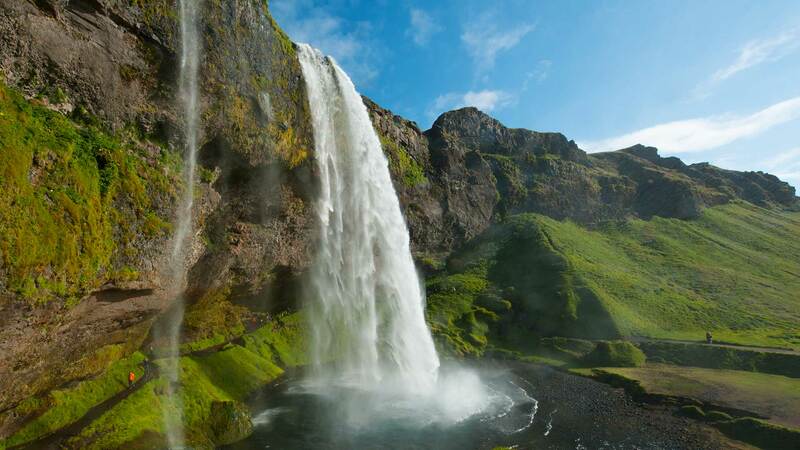 Skaftafell is a place of great natural beauty and the ideal region to explore the diverse geology of Iceland. 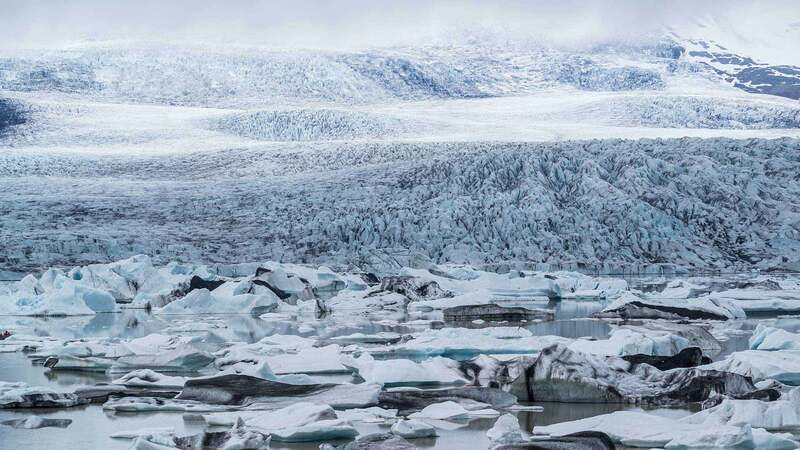 On your way towards Höfn, take a break at the amazing Jökulsárlón glacier lagoon, where you can join a boat ride among the maze of floating icebergs (optional). Driving distance approx. 270 km / 168 mi. Your drive along East Iceland today is characterised by spectacular fjords, quaint fishing villages and sweeping landscapes. 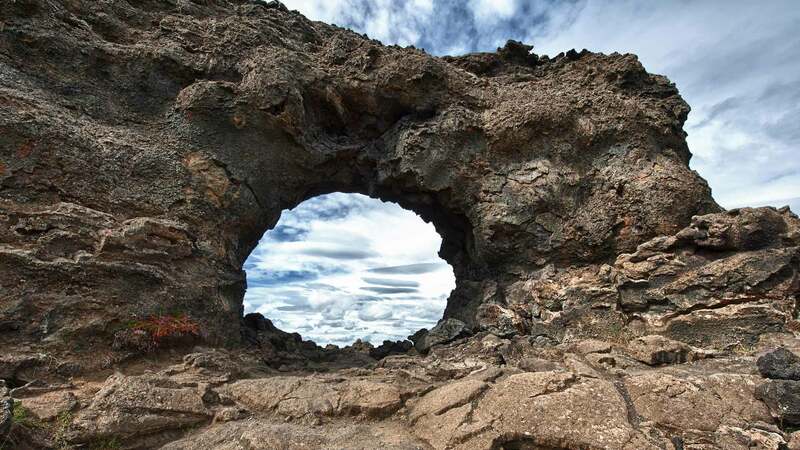 On arrival to lush Lake Mývatn, you have a number of unique natural wonders to explore, including Krafla volcano, the curiously-coloured Námaskarð pass, the fascinating lava formations and maze of Dimmuborgir and the lunar-like pseudo-craters at Skútustaðir. Spend the first half of the day exploring more sights around Lake Mývatn before driving towards Skagafjörður, a region known for its abundance of Icelandic horses. 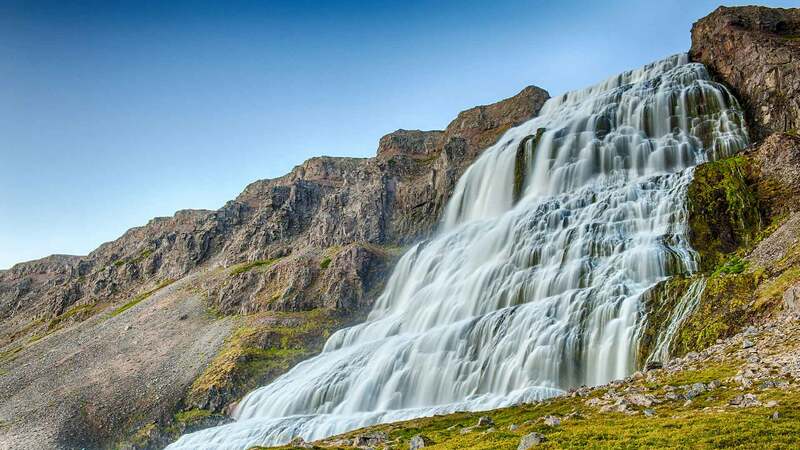 Along the way, you can stop to enjoy the thundering Goðafoss waterfall, the charming town of Akureyri—nicknamed “The Capital of North Iceland”—and the Glaumbær turf farm museum for a slice of Icelandic history. Spend the night in the Varmahlíð/Hvammstangi area. Start the day early as you have a long day of sightseeing ahead of you as you will be heading to the tranquil, remote Westfjords of Iceland! 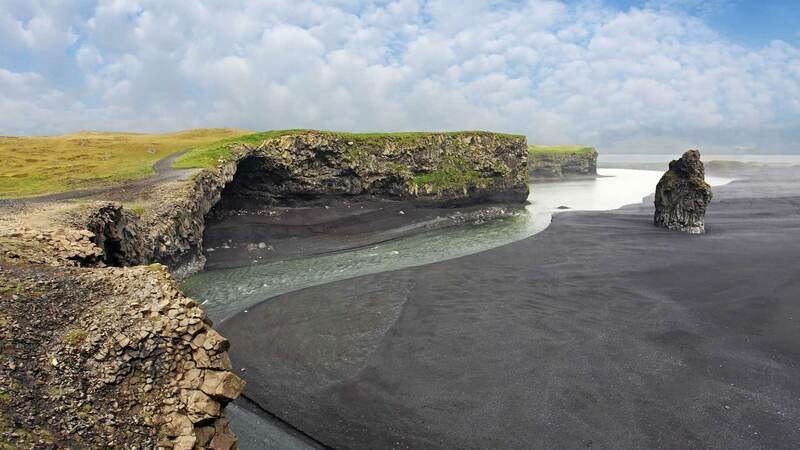 Sights along the way include the numerous mounds of Vatnsdalshólar, the Icelandic Sorcery and Witchcraft Museum and the Sorcerer’s Cottage, both in Hólmavík, and the hot natural pools in Drangsnes are also well worth a visit. Continue your way to Ísafjörður, the “capital of the Westfjords” and the biggest settlement in the region. There you‘ll find some of the most historic houses in Iceland, dating back to the mid-18th century. Driving distance approx. 375 km / 233 mi. Today you will head to Dýrafjörður, where you will find the trail of the Viking Saga hero Gisli Súrsson as well as the Skrúður botanical gardens, a mix of history and nature. Continuing to Hrafnseyri, you can visit a museum dedicated to another prominent Icelander, Jón Sigurðsson, who was influential in Iceland’s battle for independence. 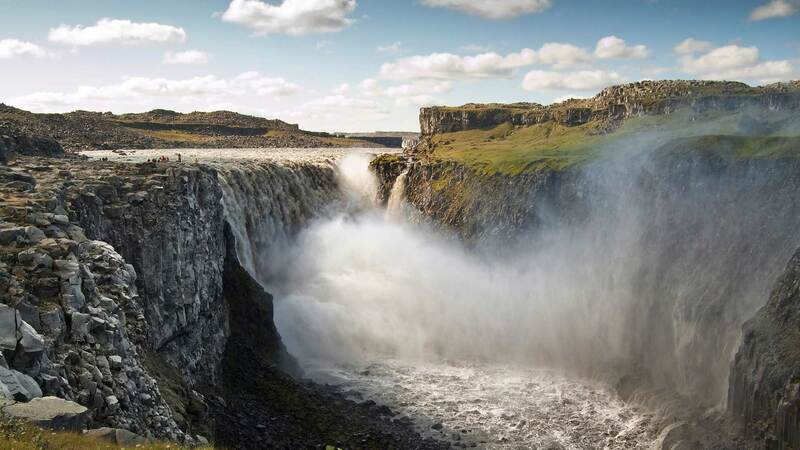 Next, make a stop at the impressive Dynjandi waterfall, which resembles a bridal veil, before heading to the spectacular 444 metre-high cliff of Látrabjarg, the westernmost point of Europe. 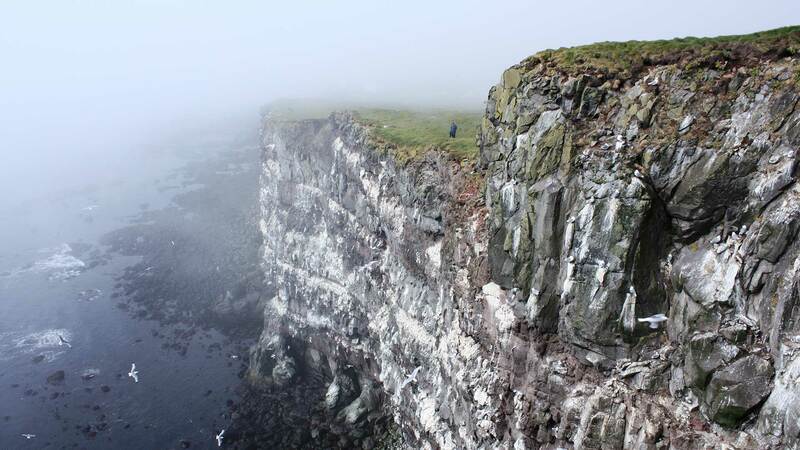 Here, you can get a good look at some of Iceland’s many species of nesting seabirds, including puffins and razorbills. Kick off the day with an early visit to the rich golden sands of Rauðisandur beach, or take a relaxing dip in a natural hot pool at Vatnsfjörður nature reserve. The morning is up to you. At noon, take the Baldur ferry across Breiðafjörður Bay to the charming village of Stykkishólmur on the Snæfellsnes peninsula, passing the small island of Flatey along the way. The duration of the ferry ride is about 2 Hours and 45 minutes. 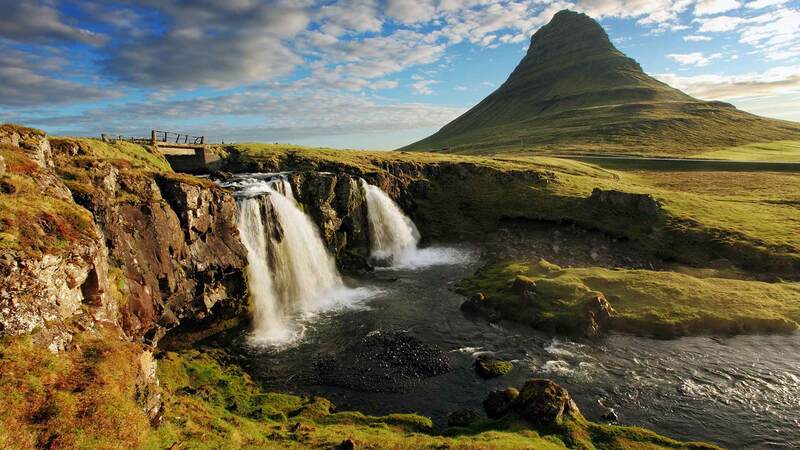 Spend the early part of the day exploring Snæfellsnes and if time allows, take a detour and drive along beautiful Borgarfjörður where you will find the largest hot spring in Europe, the twin waterfalls Hraunfossar and Barnafoss, as well as Glanni Waterfall, Háafell Goat Farm, and the large lava tunnel of Víðgelmir. 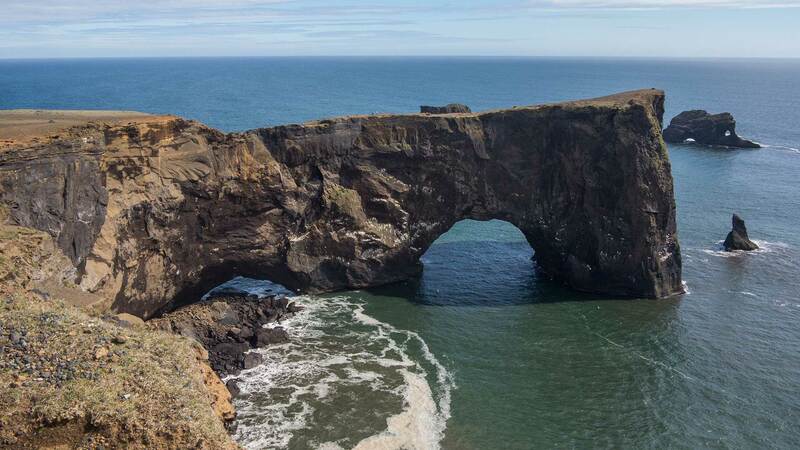 There is something for everyone in wondrous West Iceland. Driving distance approx. 305 km / 190 mi.